The President of Nigeria’s Football Federation Amaju Pinnick claims that Ovie Ejaria will choose to represent his country internationally in the future instead of England. Liverpool’s starlet midfielder, who turned 19 recently and was given a full Premier League debut by Jurgen Klopp against Watford, was born in London, but is eligible for Nigeria due to his heritage. 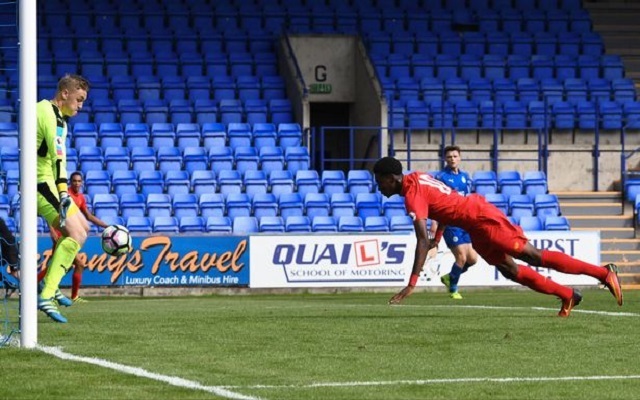 At youth level, Ejaria trained with Nigeria U17s but is now a starter for England U20s, for whom he’s scored two goals in three appearances in 2016. This hints at the fact he might favour a Three Lions future, but Pinnick thinks otherwise, as he does for Chelsea’s prolific youngster Tammy Abraham, who’s currently tearing up trees in the Championship. “If you talk about Tammy Abraham, he is like my son, his father and I grew up in the same neighbourhood. So when they talk about him, I just laugh because I know what to do,” he began (cited in the Echo). This is because Nigeria will play in the AFCON every two years and if he develops as expected, that’s a month every other season he’ll be absent. What’s more, the regular international breaks will involve very long trips to Africa; the type Sadio Mane is experiencing at the moment. Lastly, Ejaria is more likely to be involved for Nigeria in the near future than England; meaning he’ll be whisked away during weeks when he could benefit from working closely with Jurgen Klopp and the training staff at Melwood. Then again, there’s the argument that experiencing a different kind of football far from home could benefit the youngster long-term. Either way, it’s Ejaria’s decision. Perhaps he’ll speak to Arsenal’s Alex Iwobi (who chose Nigeria) and our former winger Jordon Ibe (who chose England) for advice.